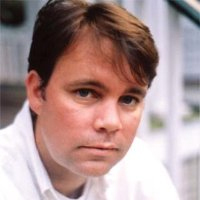 Get the latest on digital marketing every day. Right in your inbox. In the early pages of Road to Recognition, Barry Feldman explains how this project came to be. He originally collaborated with co-author Seth Price to create an infographic titled The Complete A to Z Guide to Personal Branding. It went viral, demonstrating an eager audience. Later they would flip the content into a SlideShare presentation and discuss the collection during interviews and speaking engagements. One day, Seth called Barry and “declared the lessons shall become a book … with or without me.” Well, then. With that decided, the two went to work creating an expansive and in-depth exploration of personal brand building, covering 26 fundamentals ranging from A (authenticity) to Z (zeal). While marketers tend to put considerable time and energy into the maintenance and growth of client brands, we often do not afford ourselves anywhere near the same level of attention. And in the digital age, this is a mistake. Everyone has traits and characteristics that help define their brand in the eyes of others, whether they are aware of it or not. On the internet, and with social media, our professional activities and personalities are more public-facing than ever before. But how many of us are really cognizant of opinions people are forming about us based on the image we project? How many truly understand the ways in which we can influence and shape these views? I would wager not many, and that’s why the infographic, and now book, from Feldman and Price have become such magnetic sources of guidance. These questions have interested Feldman for much of his career. Surely there is a science behind turning oneself into an authoritative figure that people seek out, and along with Price he sought to unlock it. Many of us really don’t recognize the small and seemingly subtle things we can do each day to enhance our reputations and strengthen our positions, regardless of the objective. As mentioned earlier, we could all use the occasional nudge to start refocusing on our personal brands in addition to those we service as part of our jobs. 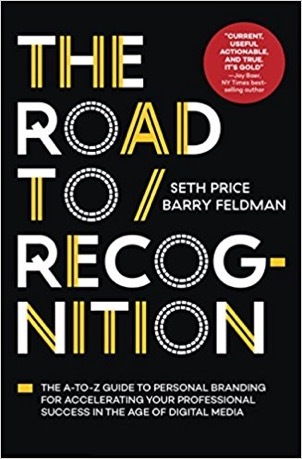 Road to Recognition provides actionable tips you can utilize, and mixes in plenty of insights and anecdotes from experts of various backgrounds. Although the intended audience for this text is quite broad, many of the topics tie directly into marketing, and content marketing specifically. E is for Email. I is for Influencers. V is for Video. All are subjects that we should be learning about or at least brushing up on with fresh perspectives, particularly as the landscape continually evolves. Discover more ways to succeed in your job and your career by subscribing to the LinkedIn Marketing Solutions blog.